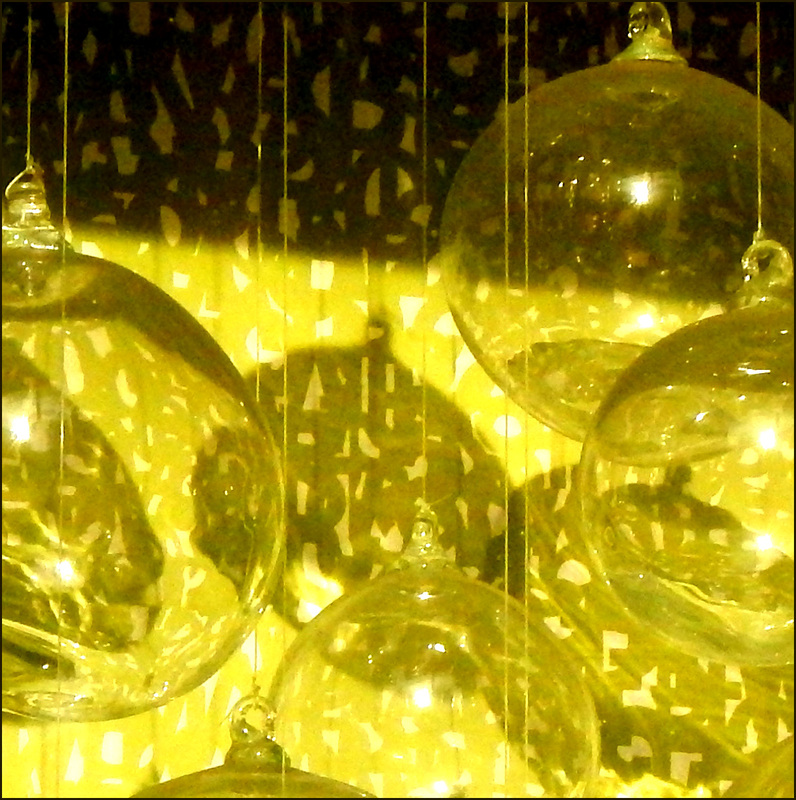 A yearlong collaborative exploration of LIGHT. Recently, dear friend and collaborator Martino Pietropoli posted images from his visit to Hiroshi Sugimoto’s Glass Tea House Mondrian at the Venice Biennale, on the island of San Giorgio Maggiore . While googling it, I came across a notice that Sugimoto also currently had an exhibition up at San Francisco’s Fraenkel Gallery, which would be ending the following week. Japanese novelist Jun’ichiro Tanizaki disdained the “violent” artificial light wrought by modern civilization. I, too, am an anachronist: rather than live at the cutting edge of the contemporary, I feel more at ease in the absent past. Domesticating fire marks humankind’s ascendancy over other species. For tens of thousands of years, we have illuminated the night with flames. Reflecting upon this, I decided to record “the life of the candle”. Late one midsummer night, I thre open the windows and invited in the night breeze. Lighting a candle, I opened my camera lens. After several hours of wavering in the breeze, the candle burned out. Savoring the dark, I slowly closed the shutter. The candle’s life varied on any given night – short, intensely burning nights and long, constantly glowing lights – each different, yet equally lovely in its afterglow. 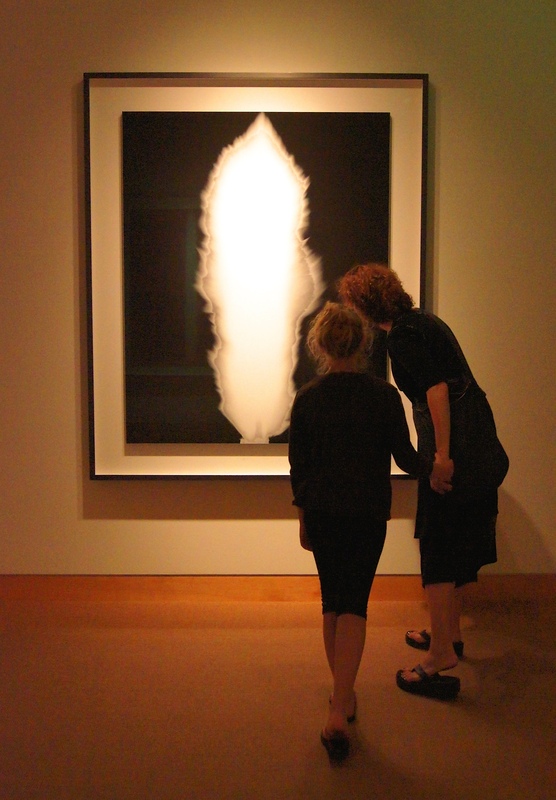 Deb & daughter Sadie looking at Hiroshi Sugimoto’s In Praise of Shadows. Photo courtesy of Richard Nagler. This entry was posted in Uncategorized and tagged candle, Fraenkel Gallery, Glass Tea House, Hiroshi Sugimoto, In Praise of Shadows, Jun'ichiro Tanazaki, Mondrian, Paulo Coelho, Pietropoli, Richard Nagler, The Alchemist, universe conspires. Art, isn’t that a man’s name?